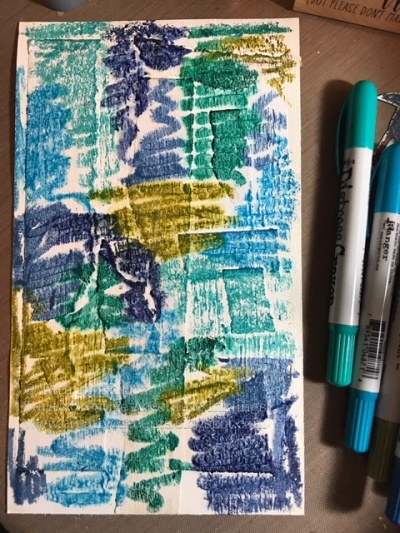 I had fun creating a some background paper with Distress Crayons (detail photos below!) and this is one of the cards I came up using it! It’s a simple Christmas card, but I hope you enjoy! 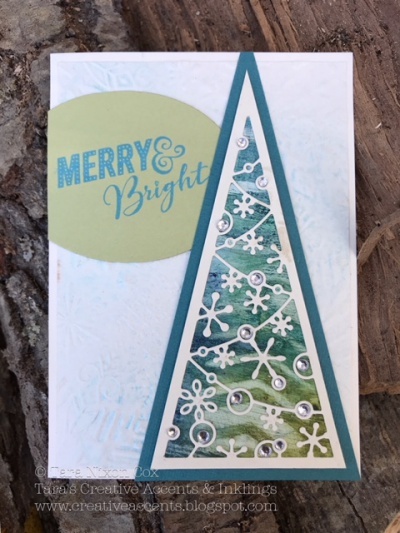 The tree die cut is a negative space design, so after cutting it I trimmed it down to have a narrow border and glued it over the background paper. 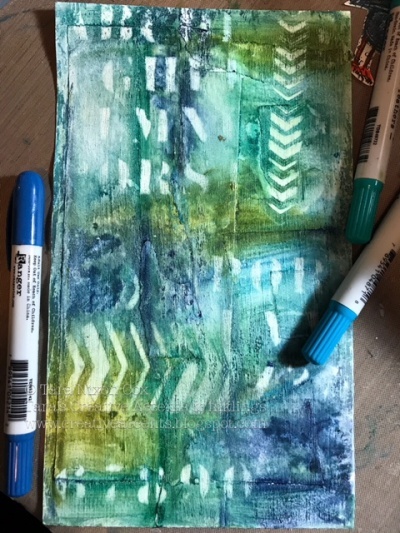 Once that was dry, I trimmed again and layered it onto a teal layer of card stock. 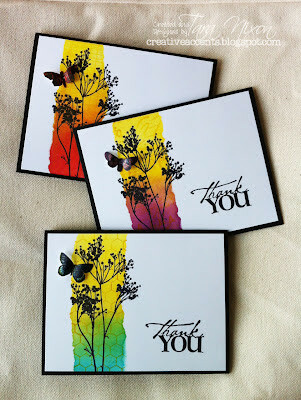 I left the top & bottom edges of that piece so it could be trimmed to fit on my finished card. I played around with several background ideas, looking for a way to add texture and shine without competing with the focal point. 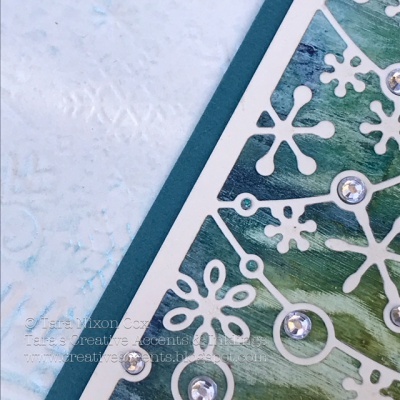 I chose this fabulous snowflake embossing folder and sprayed it with Perfect Pearls mist, then trimmed it down to fit on a card base the same ivory color. 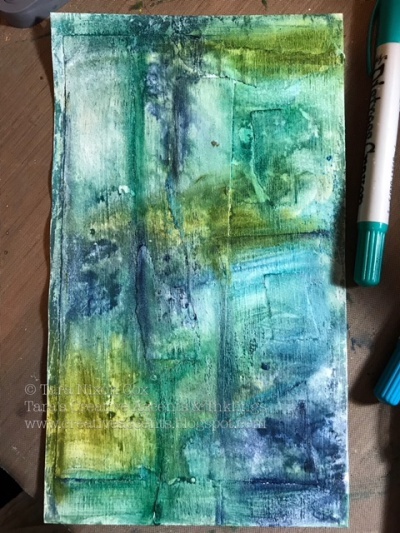 Then I misted some more water and got my fingers inky, smearing & blending the colors! 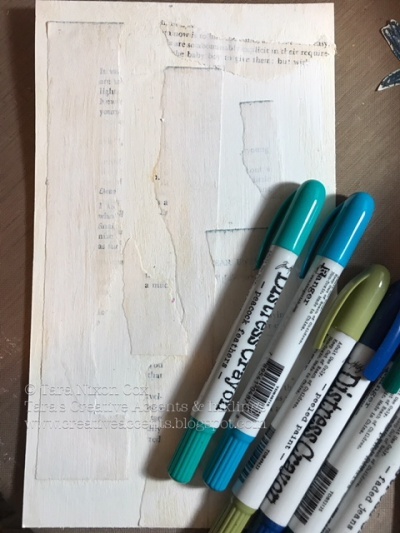 I added some extra depth of color by highlighting along some of the torn edges with more crayon. 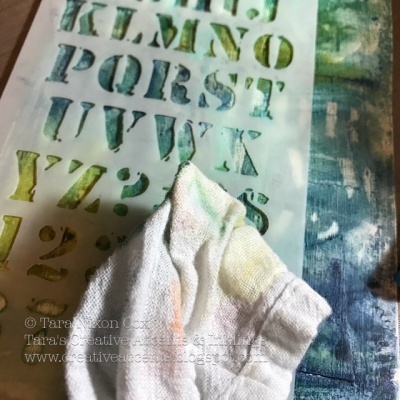 I selected a couple different stencils and used a slightly wet rag (I just sprayed a bit of water in a corner of it) to rub through the stencil and remove some of the color. … and my background was complete! I really love how it turned out! 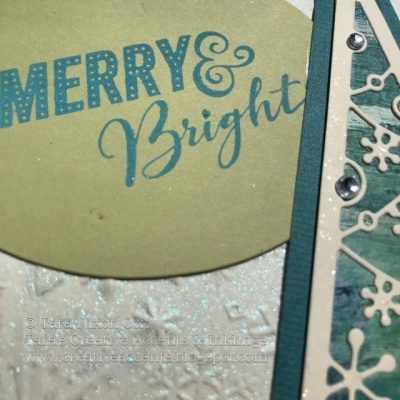 Hope this gives you a little inspiration for your Christmas card crafting… there’s a ton of great products in the online store if you need a little something new to give you a boost!